I believe it might help to begin this with a simple definition of what is meant here by the 'Human Template', and then to open up why this has become a central and passionate pursuit for myself, and many people around the world today. Every human being on earth is born from exactly the same template. 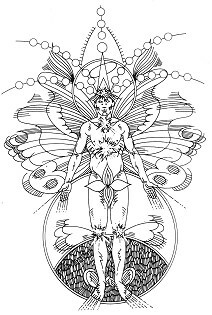 And that template that we are includes a body, a mind, an instinct, an emotion, a soul and a spirit, with the highest faculty of any living thing on earth, which is the faculty of consciousness. It's awesome, and when you think of what a human life can do in its sheer scope of versatility, skills, arts, feelings and the unlimited capacity to know and understand, it's clear that we already live inside an extraordinary world of the most beautiful designs. And these natural designs and the ways they work are our natural 'roadmap' of life. Through the live research and discovery of the natural design and ways of our human template, we can begin to understand what we are, how we are meant to work and go on, and why we are given life in the first place. As a simple example, through this approach it becomes clear to see that the human is not templated to be violent, for violence heats and destroys the natural systems inside both ourselves and others. The human was not templated to harm, for that takes away from life, especially ones own. The human was not templated to be a slave to machines or passing fashions or perversion, for we are born free. And when you look into the eyes of a baby, you absolutely know that the human was templated to be clean, searching, kind, not harsh. Above all the human was templated to seek out its purpose for living and to fulfil it in its own unique way, for we are all absolutely unique, from our experience to our very fingerprints. This leads to the fact that because the human can create - with new ideas, new feelings, produce and actions - we are the only creatures on earth that can 'template' originally, or create newly, which means that we have the vast opportunity and power and responsibility of change. True change is a matter of personal development, from the natural template that we are, and this characterises the central pursuit within the Template Network. So for example, when you read in this magazine about the original work of Thea Kreeft and Jeroen Brons with children in Holland, you see their concentration is upon the natural growth patterns of children; "We have found that the natural process of learning invites an accompanying development of inner qualities. This development will help children to feel motivated about their own lives and their participation in society." (Thea Kreeft). This conscious growth of qualities is fundamental in personal development, at every stage in life. It's like a 'coming home', to the qualities that are endemic in our design - like care, constancy and the unbridled urge to discover. Another example of this is the almost universal love of music, in people of all nations, endemic in what we are drawn to as humans. Later in this issue you can read about the pioneering work of musician Jonathan Ofir in Denmark, who with his trio of players work on themselves as the "first instrument", tuning themselves before the violins and other musical instruments. As he writes, "Our mission is to find the value of what we have already got". A further example here is the article in this issue from Anna Hannon of the international women's group 'Feminenza', which as she writes is "pioneering a new template for women". This again has arisen from the personal development pursuit which she examples by stating that, "within this endeavour we are aspiring to develop what we perceive to be a higher level of personal growth to which we give the term 'Lady' '" - then contrasting this with the levels and titles 'Female' and 'Woman'. So personal development is the most natural starting place in living, for it is an inherent urge and longing and love, to grow, to refine, and to change - templated in our very character as human beings. It is this pursuit that is fundamental to all that we do, and in all that you will read in the articles that follow. And it carries the spirit that Ghandi brilliantly characterised: "Be the change that you want to see in the world". These questions propel us headlong into the real unknown of life, and the natural worlds of feeling and understanding by which we grow. For the human template that we are, infinite in its possibilities, is a mirror image of the great universe we live in. Mark Ballabon is an author, composer and international lecturer, involved for many years throughout the Template Network.